Occasional yawing is quite natural. You should, however, start taking notice when excessive yawning becomes part of your daily routine. It may very well be your body’s way of alerting you to an underlying problem. What Happens When You Yawn? Yawning is an involuntary process. Your mouth opens wide, and you breathe in air, filling your lungs. The eardrums stretch and extra oxygen are carried to the brain and other parts of the body through the blood, making you more alert. Sometimes a yawn is of short duration. Other times, it is a long and drawn-out, accompanied by stretching. We are all subject to the occasional yawn throughout the day, but most of the time, there are certain conditions during which we yawn. We yawn before bedtime when we are tired, and the brain starts slowing down. We yawn when we wake up in the morning. It is almost as if this triggers our body to get into “wake up mode”. We also tend to yawn when we get bored, as the brain becomes less stimulated. In all these instances, yawning is a way to force blood, and thus oxygen, to the brain in order to increase alertness. Lastly, we often yawn when we see someone else yawn, or when we read about the topic. Have you yawned yet? When you yawn, the thoracic muscles in your chest, your diaphragm, your larynx (in your throat), and the palate of your mouth are all involved. Yawning also helps wet your lung’s air sacs. Air is inhaled, accompanied by a stretching of the eardrums, followed by an exhalation. There is, so far, much speculation about what causes this and not enough research to be conclusive. We do not always yawn when we are tired. You may run a marathon and be deathly tired afterward, but not yawn. Too little oxygen to the brain may also not be a deciding factor for yawning. This is because the lungs are not usually filled to their full capacity, although deep breathing, of its own accord, does tend to keep your lungs healthy. For those in a catabolic state, with reduced rib cage expansion resulting in less oxygen in the blood, yawning may help this issue, but the majority of people require a different explanation for yawning. Although people are prone to excessive yawning when bored, more recent studies show that the most likely reason for yawning is the body’s effort to cool down your brain. The most recent, and possibly best scientifically based study, points to this, indicating that people tend to yawn more in summer than winter, possibly due to the brain using this reaction in order to cool down. Yawning is normal. However, excessive yawning can be due to certain medical conditions. One cause is what is termed a “vasovagal reaction”. Besides yawning, symptoms often associated with vasovagal reactions include blurred vision, a clammy sweat, lightheadedness, pale skin, nausea, and tunnel vision. Vasovagal reactions happen when part of your nervous system that sees the regulation of blood pressure and heart rate is compromised and no longer responds as it should. This is often seen in stressful situations or when you feel you are in danger. The result is that your heart rate slows down, the blood vessels in your legs dilate, excessive blood moves into your legs, and your blood pressure drops. This drop in heart rate and blood pressure results in less blood reaching the brain. The body may automatically try to up its oxygen intake (by means of yawning) in order to ensure oxygen reaches the brain. A vasovagal reaction and the accompanying excessive yawning may also be due to internal bleeding in the aorta area or indicate that you are about to have a heart attack or have heart issues. A vasovagal reaction – As has been mentioned, a vasovagal reaction often has excessive yawning as a symptom. Fatigue – Often, when tired, we start yawning excessively. The extra oxygen released into the blood is the body’s way of trying to stay alert. 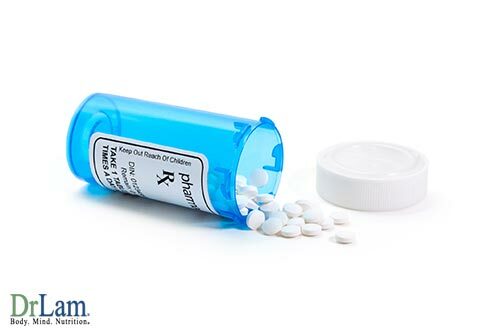 Medications – Certain medications can lead to excessive yawning, mainly because they make you sleepy. These medications include antihistamines, certain pain medications, antidepressants, and selective serotonin uptake inhibitors. Liver disease – The last stages of liver failure are often accompanied by excessive yawning. One of the possible causes for this reaction is the accompanying fatigue experienced during this time. Multiple sclerosis (MS) – Studies indicate that those who suffer from MS have a tendency towards excessive yawning. It seems yawning provides symptomatic relief from MS. Additionally, those with MS also tend to have a thermoregulatory dysfunction whereby they are unable to control their body temperature. Yawning tends to cool the body down. Epilepsy – Epileptic seizures can result in permanent brain damage that irritates the part of the brain sending out certain signals, leading to excessive yawning. This, however, is rare. Sleeping disorders – Sleeping disorders such as insomnia or sleep apnea may cause constant tiredness, leading to excessive yawning throughout the day. Brain dysfunctions – Research indicates that a brain tumor or stroke may lead to excessive yawning and can be linked to lesions in the brain stem. Yawning can also result from compression of the hypothalamus or the pituitary gland. Overstimulation of the parasympathetic nervous system – The parasympathetic nervous system is a division of the autonomous nervous system. It is primarily concerned with slowing down the heart rate, conserving energy, and overseeing the activity of different glands. When this system is compromised, it often leads to excessive yawning. Hypoglycemia – Excessive yawning is one of the first signals of hypoglycemia in diabetics. There has been much speculation as to why people yawn. Hippocrates, for example, in 400 B.C. suggested that yawning might be a response to fever, in order to get rid of any bad air in the body. He likened the process to that of steam escaping from a pot of boiling water. Centuries later in 1923, British neurologist Sir Francis Walshe noticed that partially paralyzed patients seem to regain certain motor functions during the few second duration of a yawn. He found certain patients who were unable to flex their fingers could do so when yawning. He concluded that the yawning process was a very primitive process in the brain and something we have no conscious control over. Johanna de Vries, an obstetrics professor in Amsterdam, observed that one of the first things humans do, even during the fetal stage, is a yawn. Robert Provine, a neuroscientist, indicated that yawning is indeed a spontaneous action and part of our biological programming. We have no control over it. As recently as 2011, Provine, a psychologist, made the argument that yawning served as one of the body’s cooling mechanisms, most especially for the brain. Studies conducted by Provine show that we have a tendency to yawn after waking, and before going to bed. We also tend towards excessive yawning when bored, while hunger tends to bring on about as well. There are thus, generally speaking, three possible reasons for excessive yawning. It happens when our attention drifts and we find it increasingly difficult to stay focused – when we are hungry, when we are bored, and when we are tired. Yawning may thus be a signal of the body, telling it that it needs to become more alert. Ronald Baenninger, a psychologist at Temple University, found that his test subjects tended to yawn more frequently when they had no stimulation. Yawning, he noticed, was usually followed by an increase in physiological activities, which, according to him, would suggest that the body has become more alert. Provine mentioned that people tend to yawn due to stress, citing examples of athletes yawning before taking part in an athletic event and concert violinists yawning before they play a concerto. His research also observed soldiers making their first jump from an airplane. They tended to yawn before making the jump. This may indicate that yawning is a signal that a physiological change is taking place. However, the issue is too complex to make sweepingly ascribe yawning to only boredom, hunger, or fatigue. Yawning can also be a social thing. Contagious yawning is commonplace. A family member might yawn, and you find yourself following. Interestingly, research indicates that we tend to yawn after someone close to us does. We are more likely to yawn after a sibling than an acquaintance, but more likely to yawn after an acquaintance than a stranger. The closer the bond, the more likely we are to yawn when someone else does. This type of yawning also seems limited by species. For example, you might catch a yawn from another human, but not necessarily from your dog. This seems to reflect in animals as well. Studies with chimpanzees found that, when they were shown videos of other chimpanzees yawning, they tended to yawn when seeing familiar chimpanzees yawn, but not unfamiliar ones. The same applied when the studies were conducted on baboons. This suggests that social bonds play an important role when it concerns the incidence of contagious yawning. Age also seems to be a factor when it comes to contagious yawning. Studies found that older people were less likely to start yawning when someone else did. Personality issues such as empathy and aloofness were ruled out. This implies something else may be at work, and it may be a primitive form of social behavior or communication that you are bored, tired, anxious, or hungry, for example. This ties in with her behavior, where it keeps all members of the herd alert on one hand, while the accompanying stretching keeps the body ready for action. Yawning also seems to be a sympathy trigger, as contagious yawning, according to certain studies, tends to come to the fore at the same age children start identifying with the emotions of others (around four to five years of age), although autistic children do not tend to show this behavior. Hippocrates may have got it half-right, according to recent research from the University of Vienna. Two sets of subjects were used in their research, one group from Austria, and the other from Arizona, U.S.A. These two areas were chosen specifically for temperature differences. The hypothesis was that the brain does not function at its optimal level when exposed to high temperatures, and yawning is a way for the body to cool down the brain. Although we do tend to yawn when we are tired, there may very well be a physiological basis for this. Exhaustion, stress, and too little sleep all cause the brain’s temperature to increase. Yawning may be an effort by the body to bring down the brain’s temperature, thereby making us feel more energetic. As far as ‘contagious’ yawning is concerned, the Vienna researchers found that both the groups yawned most when the air outside the body was the right temperature to cool down the body temperature, but not when the air was too cold or too hot. Breathing in too hot or too cold air could potentially be dangerous to the brain. Those in Arizona thus yawned more in winter, while those from Austria yawned more during summer. This was when the outside temperature was in the optimal zone for cooling the brain. This recent research is in line with that of the University of Albany, which used hot and cold packs for their studies. When watching a video of people yawning, the majority of their subjects tended to yawn when they had a hot pack on their head. Only a small minority yawned when applying a cold pack. However, there’s also a possibility that yawning is a reflex action controlled by neurotransmitters in the hypothalamus, with this action leading to an increase in these neurotransmitters, certain hormones, and neuropeptide proteins. Adrenal fatigue is a surprisingly common condition, which frequently goes unidentified and is often brought on by chronic stress. Excessive yawning could be a sign of this condition. Your adrenal glands are each situated on top of a kidney. Their main function is facilitating the body’s automatic stress response, producing cortisol to ready the body for dealing with stress. This system is called the NeuroEndoMetabolic (NEM) Stress Response. This automatic response system is governed by the brain and starts with the hypothalamus. When the hypothalamus perceives stress (which may be due to physical, psychological, or environmental factors), it sends chemical messengers – neurotransmitters – to the pituitary gland, which in turn sends chemical messengers to the adrenal glands. The adrenals increase cortisol production for the body to prepare itself to either fight or flee. These three, the hypothalamus, pituitary gland, and adrenal glands, are collectively referred to as the hypothalamic-pituitary-adrenal (HPA) axis. Usually, once the threat has gone, the cortisol production in the adrenal glands returns to normal. However, when the stress continues, the adrenals continue with their heightened cortisol production. This has far-reaching consequences for the human biome. The precursor hormone to cortisol and most other hormones is pregnenolone. It is manufactured primarily from cholesterol. Due to pregnenolone being constantly changed into cortisol, not enough is available for the production of other, much-needed hormones in the body including progesterone, estrogen, thyroid hormones, and even dopamine (the feel-good hormone) in the brain. Your digestive system slows down, while your immune system becomes compromised. Cortisol reduces your immune activities by blocking signals sent to T-cells and inhibiting inflammation, which is an essential part of the immune response. In the meantime, your heart rate increases and your blood pressure and sugar levels rise, supplying the extra energy in an effort to prepare you to fight or run away from danger. The brain itself needs to focus on the situation at hand, and certain areas at the front of the brain are also suppressed by means of neurotransmitters sent from the hypothalamus. Brain fog, for example, is common during this period and one of the symptoms of adrenal fatigue. At some point, the adrenal glands cannot keep up with the demand for cortisol, and they start failing. It is usually during this period, just before adrenal exhaustion kicks in, that yawning is common click here to find out more.